If you feel like taking metaphorical piss on Jack Tramiel’s grave, feel free to head over to eBay and bid on some of the abandoned cartridges that were excavated from an Alamogordo, New Mexico landfill earlier this year. It’s sort of ironic that Atari couldn’t even give these things away in the 80’s; they literally had to bury them in the desert to get them out of the warehouse. Thirty years later, someone digs them and bidding wars break out. Retro game collectors are a funny bunch. That said, I will admit that for a brief second I considered throwing down a bid for one. 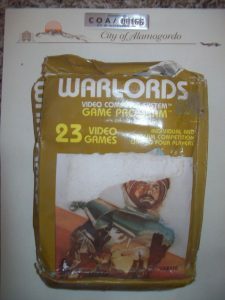 The town’s historical society will be auctioning off close to a thousand cartridges in the coming months, so you have some time think about whether or not you actually want to purchase these crumpled sacks of garbage priceless gaming artifacts.